Is Your Houston Business Taking IT Security Seriously? CompTIA is one of the Information Technology industries leading think tanks and also provides industry certifications ensuring businesses across the country are receiving services from trained and certified professionals. Marking its tenth anniversary is CompTIA’s 10th Annual Information Security Trends study. It comes out at a time of dramatic change in the IT industry, when cloud computing, mobility, and “Big Data” are altering the IT landscape and ingraining technology deeply into day-to-day business operations. Security remains a high priority when ranking amongst all trending topics. Four out of five companies across the nation place a higher priority on security compared to two years ago. IT security is not just a concern for larger corporations, government agencies or healthcare organizations. IT Security impacts small and micro business as well. Social networks, cloud services and mobility are the top three items causing the spike in IT security awareness. A higher number of organizations are reviewing their internal security practices and also the practices of all services they have subscribed to, including the security practices of consultants and outsourced resources. 80% of cloud adopters are confident or very confident in their cloud service providers’ security practices, according to the CompTIA study. Companies continue to build mobility security policies, electing to focus on aspects that help secure data and devices. 51% of companies believe that the rise in social networking is impacting their security practices. Social Networking continues to grow in adoption across all business sectors and the risk of security violations from malicious code, virus activity and social engineering continues to be a concern amongst business owners. Human error trumps technology error when it comes to IT security violations. End user failure to follow policies and procedures, IT staff failure to follow policies and procedures, general carelessness regarding security and lack of security expertise with website/applications are the top reasons security breaches occur. Best of breed IT security technologies and user training on security policies and procedures are essential to ensuring your business remains secure and safeguarded from many of the threats in the wild. 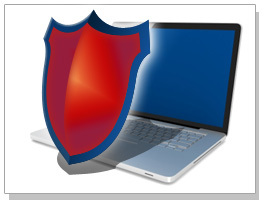 Our Houston IT security professionals will ensure that your business is completely safeguarded. Contact us today and discuss how our IT security professionals will work with your business, identify areas needing focus and make sure proper policies and procedures are being followed by staff, management and your IT department.